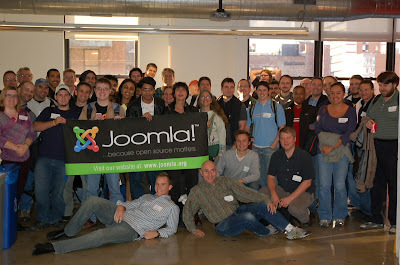 Last weekend, Google hosted the first Joomla!Day to be held in New York City. We had around 80 users and developers join us to discuss everything from the GPL to cool new features added to the project's latest release candidate. We had a mix of scheduled talks and unconference-styl breakout sessions, plus a cool hacking lounge open throughout the day. We concluded with a review and collaborative feedback session on the Joomla! sites created by several of the conference attendees. If you'd like to hear a bit more about the event and some of the co-conspirators who made our day a success, check out the wrap up post by Louis Landry, Joomla! Project Manager and one of their developers. Many thanks to all of our guests for joining us and sharing their time and collective creativity!